Underoath have released a video for “Too Bright to See Too Loud to Hear”. I love this song, best song on the album. I’ve blogged this song before, but I thought it time to reflect on it. It’s so good to go to the original source and find out what they really mean rather than speculate on meanings… I had originally thought that that when they said “your work leaves our hands” they meant as in going out from them, as in proclaiming God, yet I am glad to see that it in fact means the complete opposite, and I’m struck by the powerful image of pointlessness and despair that we have should we abandon the one who gives us meaning. It seems as though hope is a central theme, and the resounding answer is that it can only be found in God. But not just the theistic conceptions of God, not “God” in general, but the God of the Bible, the Father of Jesus Christ. To make sense of Underoath’s lyrics, you must understand that their world view is based on the work and the person of Jesus Christ. Hope can only be found in Him. Underoath’s call is to find that hope in Jesus. Listen to the rest of the album. They paint for you an image of what a godless world would look like. Listen to “Emergency Broadcast :: The End is Near” (second favourite song on the album). WTL! : What’s the connection between “Emergency Broadcast… The End is Near” and “Desolate Earth… The End if Here”? Spencer: They’re both songs that are just kind of referring to the end of the world, like not really songs about “the end of the world”, but when you’re going through something and you think “This is terrible, this is the worst ever! It’s the end of the world!”, that’s why they’re so visually inspired by real end of times, inner struggles, demons, those dark, sad places you find yourself in. The answer is only found in Jesus Christ. To divide Underoath’s lyrics from Jesus is to completely misunderstand them and to miss the point entirely. Blessed be the God and Father of our Lord Jesus Christ. According to His great mercy, He has given us a new birth into a living hope through the resurrection of Jesus Christ from the dead, and into an inheritance that is imperishable, uncorrupted, and unfading, kept in heaven for you, who are being protected by God’s power through faith for a salvation that is ready to be revealed in the last time. It’s been quite a while since I last posted here… first exams, then my laptop’s wireless not working, and then WoW… probably the latter is the most prominent reason. 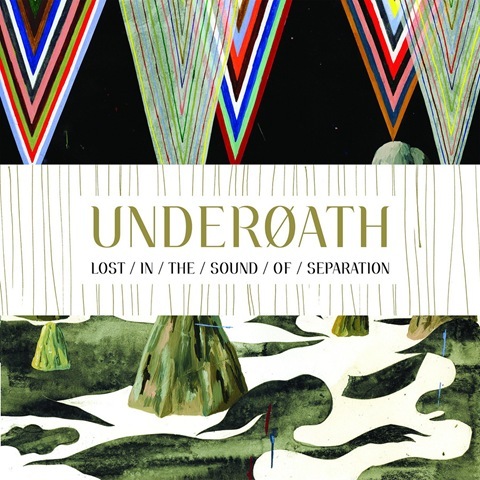 Anyhow, while doing some Christmas shopping, I came across Underoath’s latest album, Lost in the Sounds of Separation. Having not listened to much screamo music of late (Define the Great Line being the only one that I listen to regularly…) at first hear, this album was rough… Yet, after listening to it quite a few times, it begins to grow on you… For some reason, my albums always require repeated listening session before I start liking them. But one song really struck me: Too Bright to See, Too Loud to Hear. I love this song, not only because (a) it has minimal screaming, and (b) musically it’s great, but also because it has a fantastic message. I think the songs that I love are the ones that actually require thought and have real meaning. Sure, the typical pop love song may be great, but the songs that hit home are the ones that mean something. they knew, they knew that this would! Good God! Can you still get us home? How can we still get home? I don’t think that this one needs commentary, so I recommend that you find a copy to listen to!